In August of 2016, Instagram announced a new feature coming to their platform, called stories. Stories are a way to post several pictures or video clips all at once, in a slideshow format, without spamming the feeds of your followers. They also took a cue from Snapchat and made stories disappear after 24 hours, so they don’t end up in the profile grid or the feed. Stories differ from normal posts in a few ways. First, obviously, they disappear. Since they don’t stick around, there’s no point in commenting or liking them, so there are no likes and the comment button simply sends a direct message to the user instead. As you might expect, it didn’t take them long to figure out how to monetize these stories. Seven months later, in March of 2017, Instagram added Instagram Story Ads to their service. The purpose of Story Ads is pretty clear. It’s an advertisement that appears in the organic feed of the user as they browse the content in a hashtag or from people they follow. The story will appear as a slideshow or video, which will play until it’s done and the user scrolls away. Once the ad is off-screen, however, the story ad disappears. Like stories themselves, they go away. That’s right: story ads are temporary in the feed of the users who see them, so you need to make a great impression right up front. To have the best conversion rate, you need excellent stories. All Instagram ads have to go through the Facebook ads manager to be created, which gives you the option to use the Power Editor if you so desire. Here’s the basic process for creating a story ad, using both the native ads manager and the power editor. For Ads Manager, click that link to go to the ads manager while logged into the account that controls your Instagram advertising. Click the “create an ad” button. Choose one of the following objectives: Reach, Video Views, Conversions, App Installs, Lead Generation, Traffic. Any other objective either cannot be used for a story ad or cannot be used on Instagram at all. In the Ad Set section, once you have chosen your objective, click Placements. Edit placements and choose Instagram. This ensures that the ad will show on Instagram and not on Facebook. Then click the Stories button. This will bring up an ad creation wizard that will walk you through the process of making an individual ad. Remember that uploading images or videos to Instagram, the images should be in 9:16 aspect ratio for best viewing. Horizontal images and square images aren’t allowed. Once you’re satisfied with the ad as it stands, click the Review Changes button to save your changes and publish the ad. For Power Editor, once again click the link. Power Editor used to be limited to Chrome as a browser plugin, but seems to be an optional web app now, at least as far as I can tell. Anyways, select the right objective: Reach, Video Views, Conversions, App Installs, or Traffic. Once again, go to the Ad Set section and click on Placements. 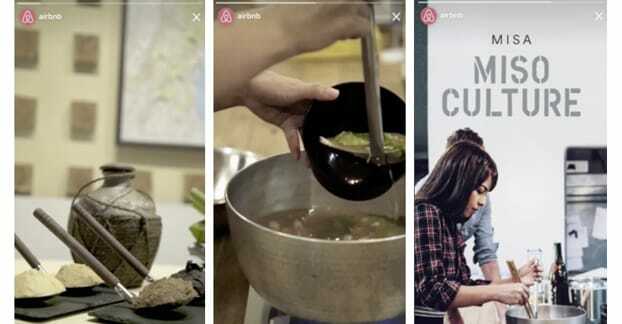 Choose Instagram as your placement to make sure the ad runs on Instagram. From here, click on the Stories button to bring up the story ad creation wizard. Follow through the process and review changes when you’re satisfied with the ad. All Instagram story ads use the same kinds of analytics and targeting options as normal Instagram ads, which in turn is shared with Facebook. Choose the right objective. As I mentioned, there are five possible objectives for your Instagram story ads. Make sure you know which one you want to use, and you choose the right one for the right kind of ad. Reach. Use this objective for ads that want to get your brand name and product in front of as many people as possible, and when you don’t care about conversions. It’s ideal for awareness and nothing else. Video Views. This objective is great for promoting a video, but that’s not necessarily what your main goal should be with Instagram. If you’re big into video marketing, use it, but otherwise choose one of the others. Conversions. This is your primary ad type in most cases. When you want people to become customers, and don’t want to pay for the people who don’t, choose this objective. App Installs. 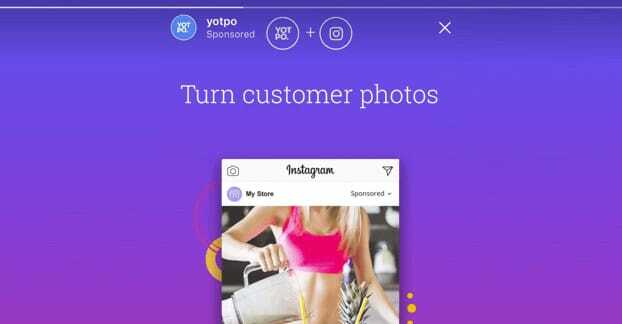 Excellent for promoting a mobile app – and Instagram is a great place to do it – but useless if you don’t have an app to promote. Traffic. This one is cheap, but isn’t much different from the reach objective. It’s a toss-up between them, so test to see which works best for your audience. Choose a narrow audience. 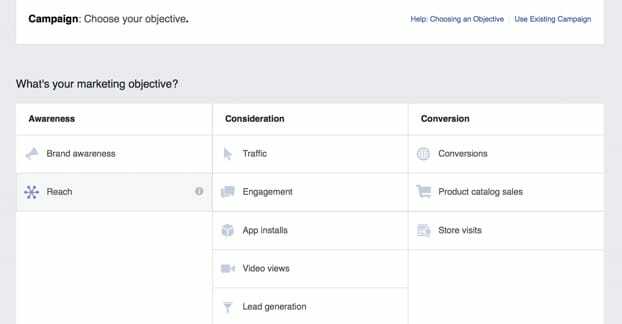 Facebook – and by extension Instagram – has one of the best sets of audience targeting mechanics available on any social network, or any ad network for that matter. There’s so much data on people available that you can target them by income, education, interests, location, and a whole lot more all at once. There’s no excuse for not hyper-targeting your audience segments. Instead of one general ad to a million people, make five more specific ads to five smaller audiences of 200K each. It’ll be much more effective, I guarantee it. Plus, you can turn off the ads that aren’t working much more easily. Choose video. Technically with story ads you can use either images or videos, but the odd thing is that images only let you choose a single image, rather than the slideshow or carousel you might expect. It’s generally better to choose a video instead, unless you are completely incapable of making a video or paying someone to make one for you. Instagram story videos have to be 15 seconds or shorter, and should generally have a 720p resolution at minimum. However, you also want to film in portrait mode rather than landscape as would be traditional for Facebook or YouTube videos: Instagram is aimed at mobile, where the video will be displayed vertically at a 9:16 ratio. As far as technical specifications go, your file should be under 2.3GB in size and be in a MOV, MP4, or GIF file format. Oh, and make sure to produce and edit your video on a PC or Mac device, or at the very least using another app. 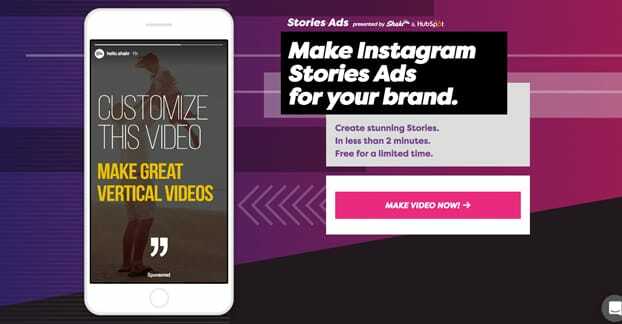 Unlike uploading a video to Instagram natively, you don’t have the option of editing a video after you upload it to Facebook/Instagram for story ads. Use obvious, clear branding. You only have 15 seconds to make your showing, but the attention span of the average user is even shorter. They might scroll past, they might skip ahead, they might just put their phone down. If you don’t catch them right away with your branding, they might walk away not knowing who you are. Even if they like your video, you need to make it abundantly clear who you are so they go away associating your name with the content. Don’t make design mistakes. All story ads share two common features: a bottom-row “swipe up” CTA and an upper-left “sponsored” label. Avoid putting essential information, especially text, in those two places on your video. They’ll be covered up and it’ll be hard to read them. Don’t be afraid to use bright colors and flashy design elements. Think back to some of the amazing ways people used Vine to tell a story or showcase a point, and you have the right idea. Additionally, you can use video to mimic a picture slideshow if you’re not confident in your video abilities. Don’t use sound as an essential element of your video. Plenty of people have the audio on their devices turned down or off entirely, so if the video requires audio, a good portion of your audience will miss it. Show your product in use. Unrelated videos can look nice, but the key element of a good advertising video is to showcase what the actual product or service is. If I watch your fifteen second video and can’t figure out what it is you’re actually selling, why would I bother following your call to action? You want your video to get right to the point, showing what a user is going to get if they convert. Make sure people know where to find you. This goes back to the whole branding thing. It’s important that people know what to do next. For conversions, the swipe up call to action should take them to a landing or order page, something they can use. For other objectives, make sure a clear and obvious URL is present. You want people to be able to navigate to your site easily, so don’t use a long or complex URL that would be a giant pain to type on a phone. Keep your content simple. Complexity is the enemy of a good sale. Part of this goes back to the product in use point. If I zoom in on a cookie, then swish over to a running shoe, then wipe transition to a tree, would you recognize that I’m promoting a diet? Probably not, right? Remember, you only have fifteen seconds to make your point, so you can’t go for something high concept, too clever for its own good, or just too complex. If it helps, just try to think of your target audience as a bunch of children. Anything too complex is probably going to go right over their heads. You do better by keeping it simple to avoid any misunderstandings or lack of comprehension. Call for users to submit content of their own. This one isn’t necessarily going to increase your conversions, but if your objective is to gain followers for your account, it can go a long way. 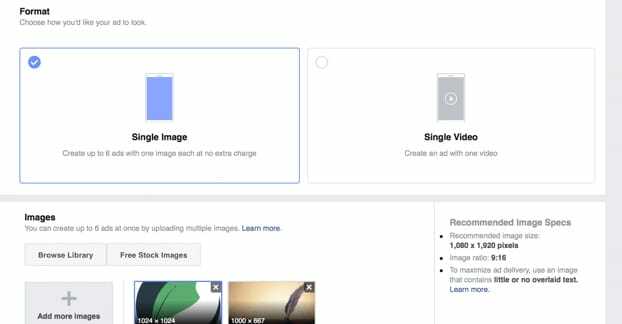 Make your video a call to action to submit content on a simple theme, and you’ll get a ton of users submitting their content to your page. It gets you more activity, it gets you followers, and you can follow up on the best content to forge partnerships and gain customers. Announce a sale or contest with an engaging prize. This plays in with user generated content and user retention. If you don’t want someone skipping your video, give them something. Generally, that “something” is value, either a free product, a sale on your products or across your store, or a contest where they can enter to win something. There’s a whole wide range of possible contests you can use, not to mention the near-infinite variety of different sales you could run, so test out what is most attractive to different segments of your audience. Address customer pain points directly. One of the keys to successful direct sales through advertising is knowing what your customer pain points are. If you know most of your users are unsatisfied with their running shoes, lead with the common problems you see and then introduce how your product solves those problems. If you don’t know what your customer pain points are, it’s time to do some research. Look into negative reviews for your competitors and common complaints about them on social media. Tap into this negativity and promote your own content through it. Of course, you do have to make sure your product doesn’t have the same issues. End videos early enough that users can click before it disappears. Once again, you only have fifteen seconds, but it’s not a good idea to stretch it out until the end. Leave the final two or three seconds to a static screen with a call to action on it. It lets the user know that the ad is over and it gives them time to make an action – the action you specify – before they move on. If the video just ends and they move on too quickly, they’ll be less likely to convert to a visitor or a customer.